The Frugal Prosumer understands that health "assurance", not commercial health insurance (which is not health insurance but sickness insurance), the most important thing. And exercise for many would be the most important health "assurance" tool. This video is about how to make an inexpensive diffuser. glass salt (or pepper) shaker that is of course clean9 oz of canola oil, 9 drops cassia bark essential oil5 drops sweet orange essential oil5 drops of geranium essential oil3 bamboo skewers that are about 12 inches (cut the pointy end off and cut the skewer in half). 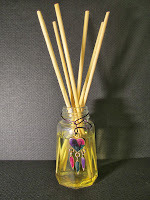 Measure your oil, put it in shaker, put drops of essential oil in the oil, stir it up a bit and put the skewers in. Let sit a few hours, then flip them over and put back in the oil. Adjust the essential oils as you see fit. And from here on out when you think of it, flip the skewers. Of course you can use fragrance oils too. The ones you buy use that a lot. Have fun experimenting with different combinations of essential oils. Oh and of course embellish your little containers if you want. One of the first concerns facing businesses -- and many consumers -- when choosing a new mobile platform is how it will enable them to get work done. To answer the question, AppleInsider went hands-on to compare the top three iOS contenders: Apple's iWork, Microsoft's Office 365, and Google Docs. "Growing Your Greens is the most watched gardening show on youtube. It's a fun and enlightening show on how to grow food at your home and beyond. John provides you with tips and tricks as well as shares his experiences growing food at his urban homestead. 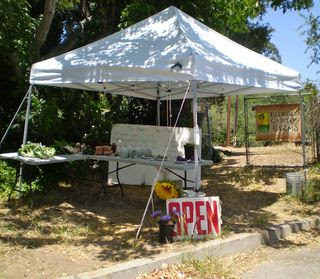 John is dedicated to helping you sustainably grow your own food in your front yard and beyond." When to Turn Off Your Lights to save money! I hear all kinds of wrong ideas about what is the best money saving tactic for turning lights off. The type of lights and the price of electricity determine whether it's best to turn lights off when you leave a room. The cost effectiveness of when to turn off lights depends on the type of bulb and the cost of electricity. The type of lightbulb you use is important for several reasons. All lightbulbs have a nominal or rated operating life, which is affected by how many times they are turned on and off. The more often they are switched on and off, the lower their operating life. Do you own a company that you hope your child will run someday? Or do you want to see your kids become successful entrepreneurs like you? Pique their interest by helping them start a business of their own while they’re still in school. I believe starting a business is one of the best educational experience you can give your kid. Refrigerators and freezers consume about a sixth of all electricity in a typical American home - using more electricity than any other single household appliance. Always keep in mind that appliances have two price tags. One tag is the purchase price on the equipment when you pick it out at the store. The other price is the operating cost paid out month after month, year after year, in the form of your electricity bill. Take a look at the new refrigerator you're thinking about buying. Consider how much it will cost each month to run it. Twenty years from now it should still be keeping food cold. But at the end of those 20 years, you may find that you spent much more money operating the refrigerator than you did buying it in the first place! That's why it's important to consider the operating costs as well as the purchase price when you make your buying decisions. And remember that purchasing an energy efficient unit really pays off in your utility bills. Should you get rid of that old freezer/fridge? 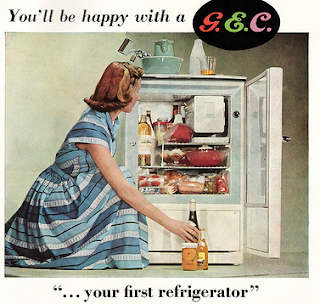 Go to ENERGY STAR government site (or www.kouba-cavallo.com/refmods.htm) to find out how much your refrigerator or freezer costs to operate and see if it would be cheaper to replace it with a new or newer old model. So you can see I can afford to pay $200 instead of accepting a free one made before 1980, as I well save more then that in electricity in just one year. If I kept using that "free" fridge for 6 years it would be costing cost me a $1,000 more then the buy a $200 newer used fridge. Here is a calculator and site to help answer some of your questions about the new health insurance. You can run different scenarios with different income amounts to see how it will affect different people. Here are some tips from Clark Howard on getting healthier food without breaking the bank. We extensively do all of them except for using coupons. Our priority is getting farm fresh and then organic if possible. We also work on creating a network of people who we can gift, trade, and barter with. These days, it’s getting easier and easier to adopt a healthy lifestyle. It used to be extremely difficult to find organic foods: the products and brands were limited and we were also limited to only shopping in season. With access more readily available, is it possible that this also makes it easier to save money while living healthier? 1. Shop the sales cycles and use coupons. 2. Look to shopping online to save on groceries and body care items. 3. Shop at the farmer’s markets and find local farmers in your area. When deciding how you and your spouse should approach Social Security retirement benefits, there are a lot of approaches to consider. Unfortunately, many of them can result in you getting significantly less than what's available to you. "It's like a game of chess," says Mari Adam, a certified financial planner based in Boca Raton, Fla.
Each decision you make as a couple can impact the monthly Social Security benefits you receive for the rest of your lives. Consequently, even small missteps can shave thousands from the cumulative benefits you receive as a couple. To prevent you and your partner from getting short-changed, consider these five tips for helping married couples maximize their Social Security benefits. "Posting valuable information on your company’s website or blog is a lot like leaving store merchandise out on the sidewalk. It might be good for attracting interest, but the free public access makes your inventory — or, in this case, your intellectual property — highly vulnerable to theft. So, it’s important to regularly search the web for unauthorized use of your content and, if and when you find instances of plagiarism, take steps to either have the material removed or receive credit where it’s due. "Here are six tips for protecting and defending your online content. 1. Set up Google Alerts 2. Use plagiarism and image checkers.Copyscape. 3. Request they give you credit for the information. 4. File a formal complaint.DMCA complaint. 5. Sign up for Google Search Authorship. 6. Provide warnings and auto-links. 1. SpiritualLove- Relationships Understand the trinity of Relationships (Man, God, Nature) Spiritual duty is steward of earth and one of best ways is being a Prosumer. More world at peace less damage to earth. 2. PsychologicalPersonality types- Please Understand me Know how get along and work together best on being earth stewards. 3. EducationiPad Any knowledge we want to understand the best ways to be earth steward and prosumer. 4. 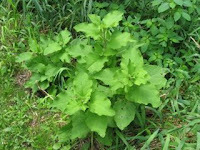 HealthHerbs-Plantain Understand how earth takes care of us. 5. FinancesUnIncome- Prosumer Business- Consumer Business Spending less and Living Rich on Less is one of the best way to be a earth steward. 6. Daily Living/ProsumerEdible wild plants- Sprout Farming- Rice The better Prosumers we are the better conservators of earth resources we are. 7. Security Tarp/housing, Hobo stove/cooking, Rain/water, Light- Solar/LED Prosumerism is a powerful way to short term and long term survivability. Boundless is a a new service that offers alternatives to pricey textbooks along with study materials. Start by choosing your subjects or searching for your required textbooks. Boundless then offers alternatives that you can buy as an in-app purchase. The iPhone app then lets you take your material with you everywhere. Self publishing is very possible and an excellent Frugal Prosumer project. I have self published three books, co-authored another, and helped over 1/2 doz people publish their own book. Long and short: as an independent author publishing digitally, you’ll do better ignoring any of Bowker’s offerings–including its “self-publishing services” and investing instead in founding your own small press as an LLC and legal entity. First: if you want your print book on shelves in either bookstores or libraries, you’ll need an ISBN. For this reason, corporate publishers–big publishers–definitely need an ISBN. Publishers who print books and ship them using the returns system need ISBNs. It’s how stock and sales are tracked. I was out looking for some Plantain (which this isn't) one time and a fellow came along. I could tell he was on the shy side but he managed to verbalize his thoughts. "Whatcha gettin? " he said as he slowly walked by with his aged dog. "Plantain" I said. That seemed to satisfy him. Or he was totally rejoicing in his extrovertedness in an introverted kinda way. At any rate, whatcha gettin fits what I will be posting about as I get this and that from our property as well as "other places". You all remember burdock and it's cling on factor. Well those burs aren't quite ready yet but I had a plant where I didn't want it so I dug it up and harvested the root. I'm a big advocate of mind mapping as a Frugal Prosumer Tool. Here is a free one. Mindmup is clean and simple. As they describe, it allows for frictionless capture of ideas and projects. It is not bloated with unneeded features. The UI stays out of your way and lets you get your ideas out. Mindmup saves to the cloud and provides Google Drive integration. You can share your maps with others, and even embed them in your website. If you are looking for a free and quick way to create a mind map, try out Mindmup. A Prepaid Cell Phones - No Contract Cell Phones from Republic Wireless that you might want to consider. Here is one review of it. I have come across more and more people who have had their chain saws, motorcycles, and other small engines ruined from using gas with ethanal in it. Now they are raise the percentage. As a Frugal Prosumer I use the more expensive gas without ethanol in it for all my small engines. I recommend you do the same. Read the following article for more informations about this. Isn't it amazing that the majority of Americans take legal drugs. One of the goals of being a Frugal Prosumer is living a lifestyle that minimizes the expense of the use of antibiotics, antidepressants and painkiller opioids. "Mayo Clinic researchers report that antibiotics, antidepressants and painkiller opioids are the most common prescriptions given to Americans. Twenty percent of U.S. patients were also found to be on five or more prescription medications." "Often when people talk about health conditions they’re talking about chronic conditions such as heart disease or diabetes,” Dr. St. Sauver stated in a Mayo Clinic press release. However, the second most common prescription was for antidepressants — that suggests mental health is a huge issue and is something we should focus on. And the third most common drugs were opioids, which is a bit concerning considering their addicting nature." "Around two-thirds of Americans over age 65 will need long-term care, either through at-home health care services in the home or an assisted living facility or nursing home. Yet more than 90 percent of those surveyed in the Genworth Financial "2013 Annual Cost of Care" report haven't talked about critical long-term care issues with their spouse, partner or adult children." Remember a very high percent of long-term care is done by family members (especially moms). A little planning ahead in house design and how it will be handled can save lots of money and stress and even ones marriage. "A great deal of financial advice is focused on keeping you out of trouble, but sometimes trouble happens. When it does, your attention should turn to handling that trouble as smoothly as possible. "Six tips for coping with, and recovering from, a financial emergency: read the complete article. Article on Easy ways to save on international travel at Clark Howard's site. Read this article Easy ways to save on international travel at Clark Howard's site for some money saving travel tips. Book at least three months in advance.Be as flexible as possible.Think outside the box.Stay at all-inclusives sparingly.Book an apartment instead of a hotel.Pick your restaurants carefully.Purchase multi-destination passes. "Go to the official tourism site for the city you'll be visiting and search for attractions passes, usually they have museums and dining discounts, and sometimes they even offer discounts on transportation." Bridal Brokerage Beautiful Weddings for Less! Over 250,000 weddings are called off every year. Bridal Brokerage finds new couples to take over canceled wedding contracts, saving money for buyers, sellers, and wedding vendors alike.As thousands have registered to purchase beautiful weddings at a fraction of the price, we’ve found another way to make weddings even more affordable.Wedding vendors are looking to fill their availability over the next 6 months. Gasp! Their wedding site says in 2012 the average wedding cost over $28,000. That’s almost as expensive as a year of college! The Frugal Prosumer knows how to put on a $28,000 wedding for well under that cost. "Shelter in Place" the new term that you need to know about! Read about “Shelter in Place” Is there a better way? Yes. From one of my favorite bloggers Resilient communities don’t shut down due to security/food/energy disruptions. They can self-generate much of that themselves. Often at levels of quality better than what is available from global sources." Shelter in place has been used for an emergency procedure for people affected by a chemical accident or terrorist attack. But now it is being used more by homeland security to lock people in their homes. This is good at times but can also be ominous. “Shelter in Place” is a phrase usurped by US Homeland Security from the American Red Cross which means that everyone, except first responders and medical personnel, must stay at home until an all clear signal is given. Boston bombings: How surviving a bomb blast feels and what you can doto help survivors. Here is a very good article on what happens to you in a bomb blast and how you can help others. His blog is one that I follow. He survived the Balkan wars and has a lot of in field medical knowledge and has a lot to teach us. Read this article on How to Grow Fresh Air For Your Home. "Here’s the list of some of the plants that do the best job at cleaning formaldehyde, the most common indoor air pollutant (which indicates they are good at cleaning the rest)." Boston Fern. Mum.Gerbera Daisy.Rubber Plant.English Ivy. Have your own business or thinking of starting one? Read this article about SBA SizeUp Kick-Starts Market Research. "The Small Business Administration has taken a big step toward leveling the playing field on which small businesses compete with large ones.It’s now providing a new online information service called SizeUp that gives small-business owners free access to data on some 14 million companies in virtually every industry and geographic region in the country." Groups Of Adults Turn To Cooperative Households To Save Money "With the cost of living on the rise and showing no sign of slowing down, total strangers desperate to save money are moving in together. As CBS 2’s Dana Tyler reported, older adults and even families are using this method to pool their resources. And the new communities are redefining the modern family. Two million Americans over the age of 30 now live with a housemate or roommate, and shared households make up 18 percent of U.S. households – a 17 percent increase since 2007." 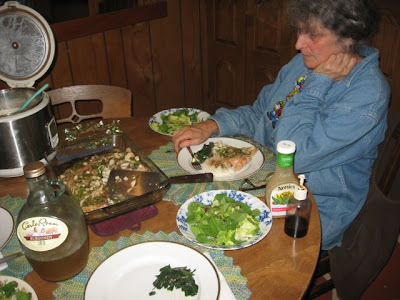 We have found one of the main reasons we have been able to live so well as Frugal Prosumers is because we have done cooperative living for most of our life. Smoothie making can be an art? Well, it turns out that way sometimes. John says I'm the artist and he's just an accidental artist. He says mine is almost always art ( a relative term here) and 1/2 the time his creations need a little rearranging or possibley repurposed back to where it came from - the trash. Or his McGyver garage for the next round. Lest we digress too far I must tell you what is in this deliciously purple drink. I can't remember, well exactly. The base this time was coconut milk. It is usually yogurt. 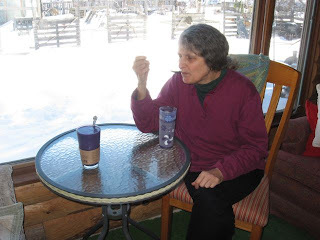 Then I went to the freezer and captured some frozen bananas and then some cubes of wild grape juice, not so wild pineapple juice, crab apple juice and just a few leftover frozen blueberries. And let's not forget the strawberries that started this whole thing on the way home from the grocery store as I caught a whiff of their strawberryness. The Internet is a surveillance state is a good article for those of you who are paranoid. Yes google may know more about your preferences than your wife. Having worked in the computer field for the last 25 years this is pretty much common knowledge to me and sadly unavoidable. If the director of the CIA can't stop the snooping on him, we don't have a chance. If you're like me, and do a bunch online, then you will become aware of how this is done and possibly prevent some of it . But because I'm online so much there is no way to completely stop them from tracking me. If you think by not having much to do with computers you are safe, think again. Because you're not familiar enough with computers to know what not to do, they've got you. Be careful, but being paranoid about it (you have good reason to be) is not going to change anything. I have been following the development of rocket stoves for over 20 years. Recently I have been doing more experimenting with them. I must say they are very impressive. A rocket stove is an efficient cooking stove using small diameter wood fuel which is burned at a high-temperature because of the insulated fire box and chimney. The rocket stove was originally developed for cooking, where a relatively small amount of continuous heat is applied to the bottom and sides of a cooking pot. Stoves can be constructed from brick, recycled steel cans, or steel sheet metal, or can be purchased. Are the Amish the ultimate Frugal Prosumers? Look at this patchwork map of carefully-managed small fields and farms. They are current family farms, worked with horses and mules. It is quite a sight. Click the link below if you would like to see a bird's-eye view of what America looked like 150+ years ago, when we were an Agrarian Nation. Go to Google Maps and type in "Amish Road, Gap, PA." Then back the view out so you see more countryside, and scroll around. Here is an interesting article on 10 Creative Ways to Use a Tampon as a Survival Tool. Being a Frugal Prosumer means learning to think differently and find multi-functional and alternative uses for a product. Here are alternative ways to use a sterile Tampon in survival situations. A good exercise in thinking outside the box. From one of my favorite "Frugal Prosumers" Clark Howard. Also if you ever had an FHA home loan, HUD may be sitting on refund money for you. Go toHUD.gov and see if you're in their refund database. The Affordable Care Act- Boom for Entrepreneurs! The Obama administration's Affordable Care Act will for the first time make affordable healthcare available to everyone. For Frugal Prosumers as well as most people in America, the expense of healthcare is a big issue. The Affordable Care Act will affect most Americans in some way or other. There is a lot of hype about it and there are both good and bad aspects to it. The Frugal Prosumers goal is to find the good parts and use them to reduce their expenses. Owning ones own business is a very important tool to The Frugal Prosumer. One of the biggest things that has kept individuals from going into business themselves is not being able to afford healthcare. This is going to be a big game changer for entrepreneurs as everyone can now have health insurance.